The trick is to form a proposal meaningful to your boss. They will need a good reason to devote company resources to your idea. Make sure your idea addresses a specific problem and you are more likely to get their attention. Once you have their ear, making your case is a question of people skills. Make eye contact to encourage trust, and ask for suggestions so they feel like part of the process. Collaboration can make your idea stronger. 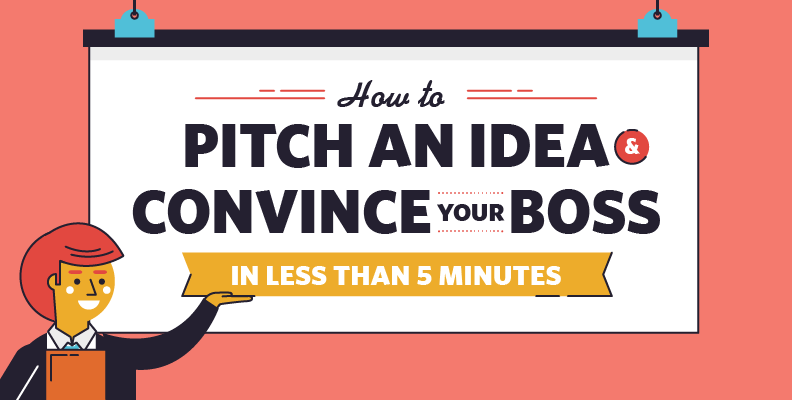 Our new infographic provides a complete roadmap to getting your ideas approved by your boss. Put some time aside to plan your route and you have a much higher chance of success. Seeing your ideas put into action makes all that hard work worthwhile – and improves your chances for promotion. Having a great idea is only half the job. Sell it effectively and you can really make your mark in your place of work.